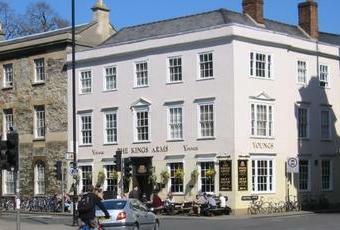 A Youngs pub I've visited on and off for years; I grew up in London drinking Youngs beers and like a nostalgic pint! In November I'd hoped to see Youngs Winter Warmer (do they still make it?) 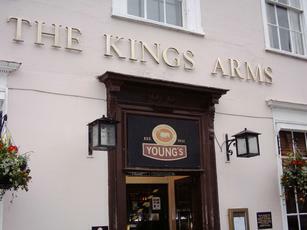 but they only had one Youngs brew (ordinary bitter) amongst the selection on the handpumps. Maybe a sign of the times since the Charles Wells takeover and the closure of the Wandsworth brewery. Nothing wrong with the pub itself - still the usual mix of locals, unversity and toursists but rather lacking in the company's product. 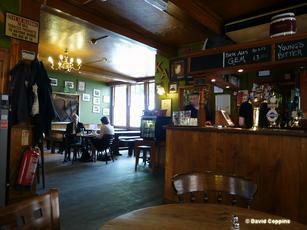 I like this pub, with its Youngs beers, atmosphere, and its generally welcoming woodiness. I'm not sure if its the woodiest pub that I've ever visited, but if I were in a betting mood, then I'd at least say that it's a good contender. The home-made pork crackling etc. as bar snacks are a nice touch, for those who like that sort of thing too. £4.30 for a pint of Twickenham Grandstand is out of order. Go to the White Horse near by. Worth a visit. As other 'posters' have said, it has many other rooms off the, what seems to be, the main bar area. Parts of it remind me of a typical London boozer. Beers supplied by Young's, with a couple of guest beers as well. Very nice traditional pub. 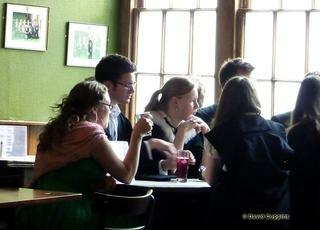 The large main lounge area seems geared for the mainly pub grub role of this establishment. The smaller bar around the back is quite charactersome with some interesting features and other small snugs leading off. Several real ales on tap.